Cyrene Mission became famous for its localised art of Christian content which was developed first in the classrooms and then extended to decorate the chapel. Edward “Ned” Paterson (1895–1974) was a pioneering art teacher in Rhodesia (now Zimbabwe). 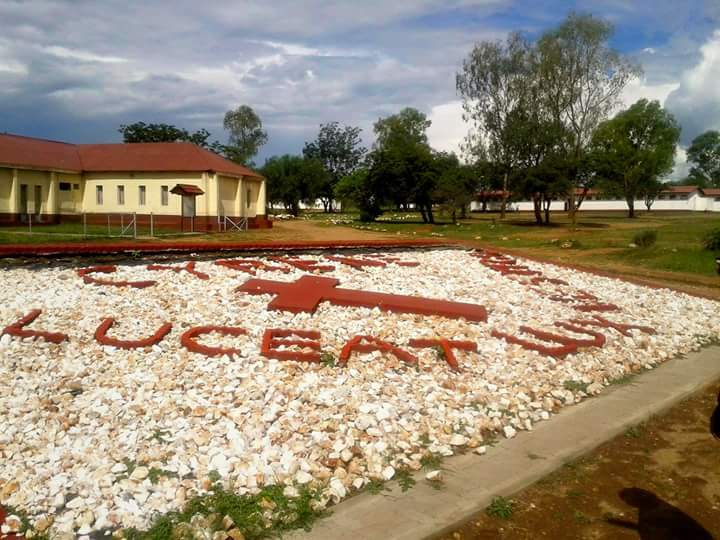 He is known for founding Cyrene School near Bulawayo. The centerpiece of Paterson’s career were his years in charge of Cyrene School, near Bulawayo in Rhodesia, where he moved to in 1939. This school, which Paterson started from scratch, focused on practical and agricultural education. It was the first African school in Rhodesia to have art classes, which were made mandatory for all students. “Our aim is to turn out the self-contained burger type, able to farm rationally and to care for his cattle, able to build his own home and to make its furniture and even to enrich them by carving and design.” All students took painting and drawing classes with Paterson until he left the school in 1953. He also established an arts workshop that met in the afternoons, which typically included disabled students unable to take part in sports or construction. These students also learned to carve, sculpt and produce linocut prints. Cyrene became well known as Paterson sought to exhibit his artists and sell their work in order to recoup the heavy costs of providing art education. By 1944 his artists were selling strongly among White Rhodesians. In 1947 the repute of Cyrene was sufficient to attract a visit from the King George VI’s 1947 tour of southern Africa. In the wake of the ensuing publicity from the royal visit, traveling exhibitions of Cyrene student art toured South Africa, England, and the United States regularly from 1949-1953, raising enough money for Paterson to cover his annual budget deficits. These exhibitions made Paterson the best-known art educator in Africa of his era. Eventually a number of Rhodesia’s first professional African artists emerged from Cyrene. These included Sam Songo, Lazarus Khumalo, and Kingsley Sambo.